This album is really the tale of two very old friends Mikael Carlsson and Mikael Erlandsson (Last Autumn’s Dream, Salute), who once played together in a band called Rain some 30 odd years or so ago. After Rain broke up, the two men went their separate ways but the two Mikaels remained in contact and promised each other that when the time was right, they would make another album together. 2012 seems to be that right time and Escape music have the honour of releasing another fine slice of Swedish melodic hard rock. Joining the Mikaels are guitarist and producer extraordinaire Martin Kronlund and drummer Perra Johansson (Coldspell), plus you have the added bonus of guest musicians of the calibre of Ged Rylands (ex-Ten) on keyboards and Tor Erik Myhre (Jorn) on guitars to help Mikael C and Mikael E record an album full of strong melodies, powerful rhythms and catchy songs, which is all you could ask for really. I’m gonna select a few of the standout moments from this CD starting with the full of attitude, punky as hell ‘Hero’ which features guest vocalist Katarina Hagar (see interview with band) who plays a stroppy teenage daughter with dreams of movie stardom, who instead falls from grace and into drugs and sexual depravity. The song relates both sides of her story, from her and her Father’s viewpoints, It is really strong stuff, yet done in such a powerful way by LUC. Title track ‘Set The Night On Fire’ is next and it’s a different take on the usual love song formula. It’s a slow moving, darkly brooding track with a heavy riff and after listening to it you would be hard pressed to recognize this as your average love ballad but LUC pull the song off with aplomb. Then we have ‘Who Needs Love?’ which is another fuel filled fireball of a song, where the guitars race along like out of control Ferraris, the vocals of Mr Erlandsson soar and the solos of Martin Kronlund and Tor Erik Myhre vie for supremacy, until the cut reaches its blistering crescendo. Lastly I must mention ‘Through The Storm’ which brought to my mind the likes of Vandenberg, TNT and Lizzy. The chorus is instant and the band are at the top of their game, as the song pours like warm honey from your speakers. 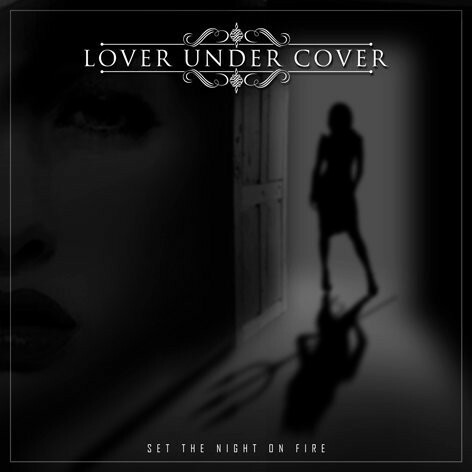 With ‘Set The Night On Fire’, Lover Under Cover might be another in a long line of Swedish melodic rock bands; but with their great songs, sublime production courtesy of Martin Kronlund, tight musicianship and vibrant energy, I think they have that little something extra that could see them go from strength to strength. Oh and I really hope that it doesn’t take another 30 years until we get album number two.